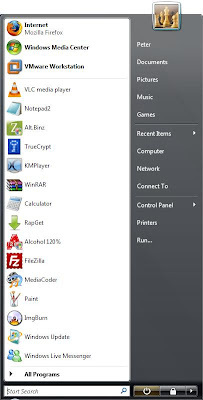 The Windows Start Menu displays the most recently used programs depending on how often a program is launched. The list by default is very small and may not contain very many of your programs. There is plenty of room on the screen to show more programs. Click read more to find out how to increase the amount of recently used programs shown! 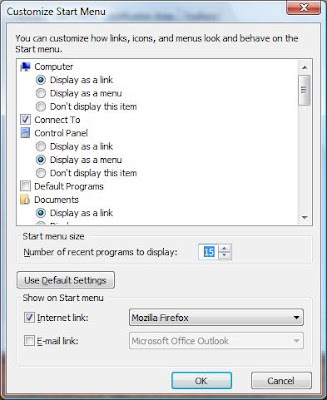 To increase the amount of recent programs displayed in the start menu, first right click on the task bar at the bottom of the screen and select properties from the context menu. 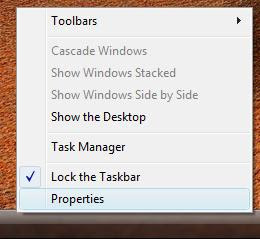 Once the properties windows appears, select the Start Menu tab at the top and click the Customize button and another window will appear. 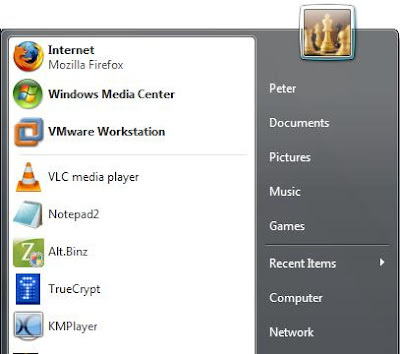 In this window you will see a section which will say "Number of recent programs to display" if you are using Vista or "Number of programs on Start menu" if you are using XP. 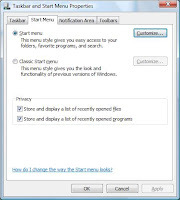 Set the number of programs that the Start Menu should display and click OK on both windows. Now, the Start Menu will show many more programs!